Are YOU a Satanist? Is the First Amendment a Joke? Find Out! Who knew what astonishing revelations I’d uncover while researching my latest script. I was perusing the website of the Church of Satan over my morning coffee. “Hunh, I think I may just be a Satanist,” I declared. My partner of many years and thus accustomed to such outcries, didn’t bat an eye. 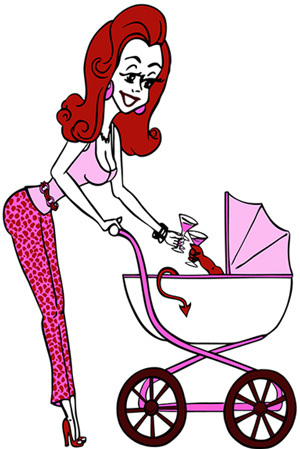 Celebrate Bastille Day with Martini Mom & Devil Spawn! Have your cake and eat it, too, with Rosemary and the gang. What better way to celebrate the independent spirit than with anti-establishment satire (and martinis of course)? Catch up with episodes 1-10 found HERE, then tune in to our brand spanking new episode 11, “Say You Love Satan”– found HERE! World Premiere — The Martini Mom Feature!